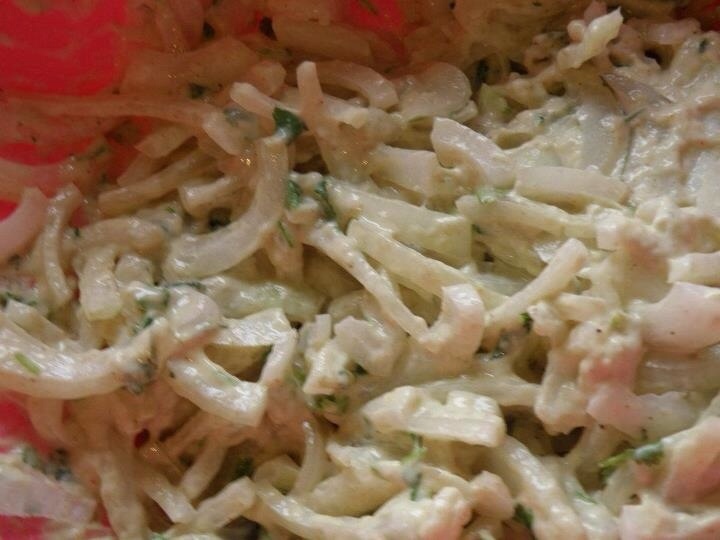 This is a good follow-on from my last recipe and would make a lovely side dish. 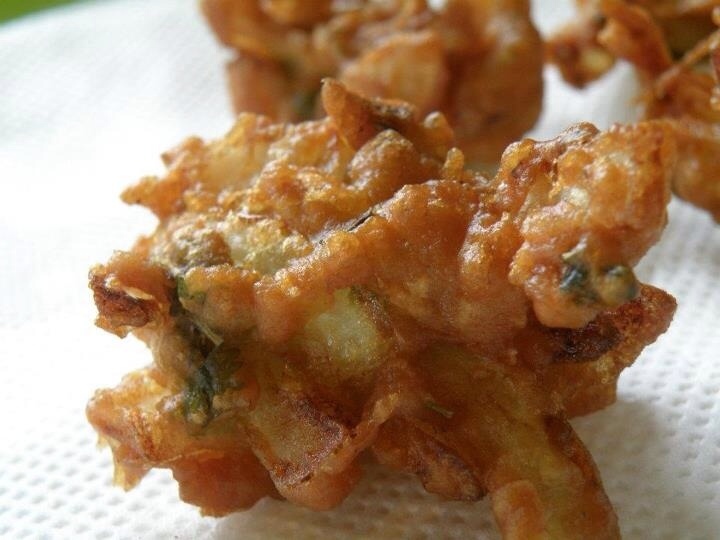 I absolutely love onion bhajis, normally I make them in a more traditional way by using gram (chickpea) flour. But since my son has allergy to beans, peas and possibly lentils I attempted with “normal” flour instead. We we certainly not disappointed and I was so surprised that both boys loved these…. I was actually a little miffed I didn't get to scoff more for myself! This is a pretty simple recipe and if you are ok with beans/peas etc but are gluten free then using gram flour is perfect for you it's win win for everyone! Mix all the ingredients except the oil together then add 8 tbsp of the water and stir until the mixture is sticky and thoroughly coated, add the extra tbsp water if you think it is needed. 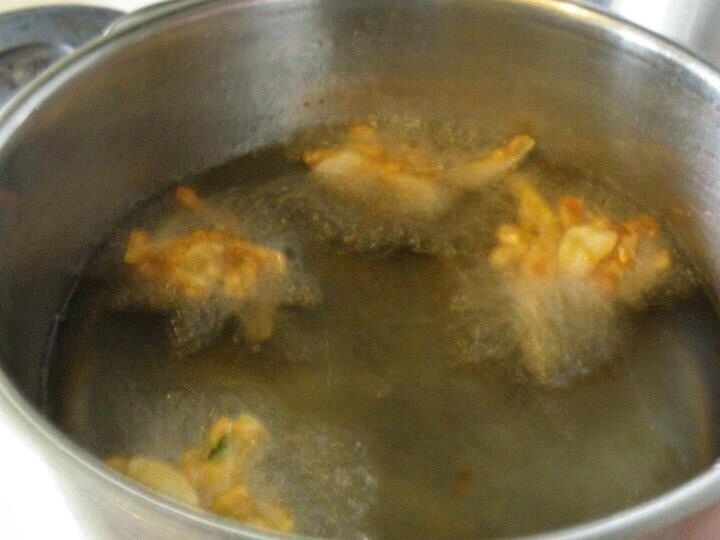 Heat the sunflower oil in a saucepan or wok, you need 2 or 3 inches deep at least. Once you think the oil is hot enough test a little bit of onion, if it sizzles straight away you are ready to go! Add a few handfuls of mixture at a time, give them about 10 seconds the flip them over, you are after a very golden brown colour all over. After testing a few times you will get the hang of it. Remove onto kitchen paper then transfer to your serving dish. Repeat method until all mixture is used. You may cover the bhajis in foil to keep warm whilst you make the remaining bhajis if you wish. I don’t honk my two realised it was onion, might try some other veg as well next time! Nice dipped in ketchup as a snack too.